Research everything about the car that you wish to buy. There is plenty of information and perspective on new cars and their older model alternatives. Virtually nothing is more important in your decision process than how you feel behind the wheel. According to Martin Janse van Rensburg, for Budget Insurance, “You definitely don’t want to suffer buyer’s remorse so it’s essential to test-drive the car properly before buying. "Don’t make the mistake of assuming that just because a car is brand-new that it’s the right car for you.” Go for a test drive in order to know more about the car and have a feel about how it drives. Very few people can afford to pay cash for the vehicle that they want to buy. Learning how and where to finance your car from can make your life a lot easier and save you money in the process. Buying your first car could also be your first credit transaction. This means that you’re likely to have no credit history, and banks will be hesitant to lend you money at a low interest rate. If you are buying from a used car dealer, then you can finance through the car dealership. It is smart to compare offers from different banks and dealerships to see what type of car financing options they can provide to you. It's important to think long term. A sporty convertible might suit your needs right now, but you might need more space if you’re thinking of starting a family in the next few years. Establish what your transportation needs are now and what they could be in the next few years in order to avoid future unnecessary costs. 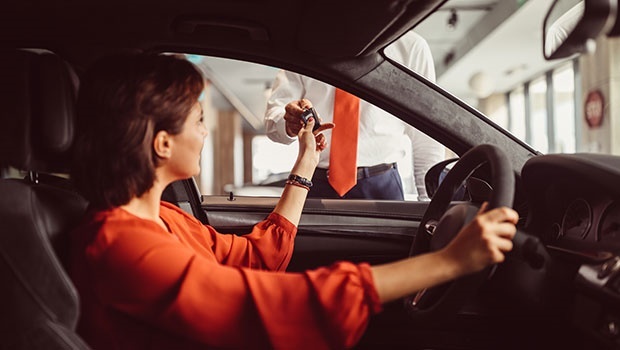 Rudolf Mahoney, Head of Research at WesBank tells WealthWise magazine that buyers should go with their heads instead of their emotional choices when it comes to buying a car. Resist the urge to buy a car that's not in your price range. Being able to afford a car or paying the monthly installments is only one part of it - think about all the additional costs that you will need to pay in the future. Whether it is fuel, insurance or maintenance, make sure that your monthly budget lets you save up for this and other incidental costs that come with a car. According to Wheels 24, it is important to get all the extras explained. During the contract-signing process, you'll be given a breakdown of what you are paying for. This will include the vehicle’s invoice price as well as any delivery, licensing and admin costs. Make sure that you read and understand the contract to avoid committing to any value-added extras (such as dent protection, warranty, service plans) that you might not have asked for. Is it fair that women pay less for car insurance? Do women still need help buying cars?